Sunny Isles Beach Movers - Sunny Isles Beach Movers has some of the best movers that you will find anywhere. We offer free quotes in-person to everyone. Sunny Isles Beach Movers has some of the best movers that you will find anywhere. We offer free quotes in-person to everyone. Sunny Isles Beach Movers has some of the best movers that you will find anywhere. We have over five years of experience in the moving industry and understand what it’s like to need to find qualified movers. We train all of our movers on our own to ensure they do not have any bad habits left in them from working with other moving companies. We offer free quotes in-person to everyone. Movers will come to a person’s home and determine what needs to be moved. From there, we will provide a quote in writing that is comprehensive and complete. We feel it’s important to come out to the home in order to quote – and a company that doesn’t cannot properly quote because they aren’t seeing the layout of the home or the amount of items that have to be moved. Our quality movers are like no others in town. We take pride in what we do and as a result, we have many customers in town and out of town that are very pleased by their moving services. 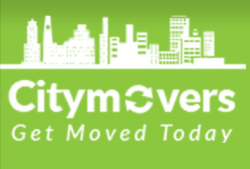 Movers Miami Gardens has some of the best movers that you will find anywhere. We have over five years of experience in the moving industry .